Nashville, Tenn. (December 15, 2015) - Country music's Aaron Tippin is set to be spotlighted by theCountry Music Hall of Fame® and Museum with a special Songwriter Session. Tippin's Songwriter Session will be held in the Ford Theater this Saturday, December 19 at 11:30 AM. During the 45 minute program, Tippin will perform several of his hit songs and will discuss his 25 years in the music business. Immediately following the program, items purchased in the Museum Store will be available for Tippin to autograph. This year marks Tippin's silver anniversary as a country music singer. 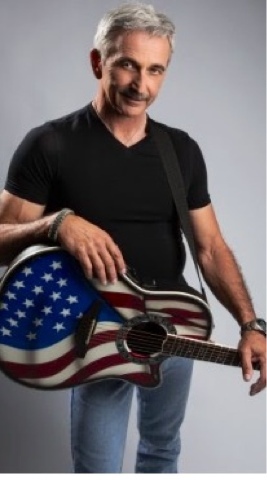 To celebrate, he has released Aaron Tippin 25, a two-disc collection of 25 songs that includes 10 freshly recorded versions of his biggest career hits, as well as 15 brand new songs. The album is available for purchase ataarontippin.com and iTunes.